If you’re wondering who or what ClarkDietrich is, here’s their “About Us” page on their website. It’s actually an interesting and accessible website if you’d like to read about building construction material. If you’d prefer to read about ClarkDietrich’s partnership with Movemint Bike Cab for pedicab advertising, resist the temptation to click that link. There’s an annual construction convention / trade show titled “CONSTRUCT.” For 2016, the Austin Convention Center was fortunate to host it. (This year they’ve settled in Providence, Rhode Island.) One of its vendors was ClarkDietrich. and had those four drivers “for hire” and posted outside the Center’s main entrance to provide free rides for convention attendees. They operated for four-hour shifts per day, in the afternoon. 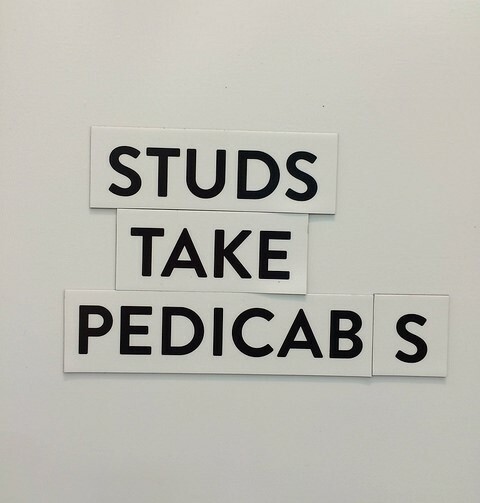 They were encouraged to ask their patrons to tweet #WallTalk and share a photo of themselves during their pedicab rides. The convention came and went, but ClarkDietrich had bought the ad space for a month. 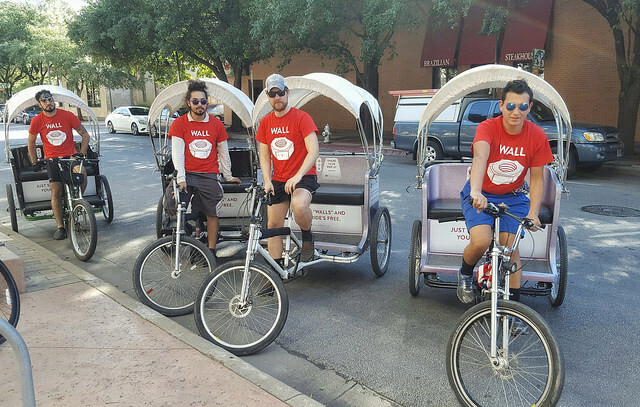 As a result, their pedicab advertisements were featured at University of Texas Longhorns football games and the Pecan Street Festival.